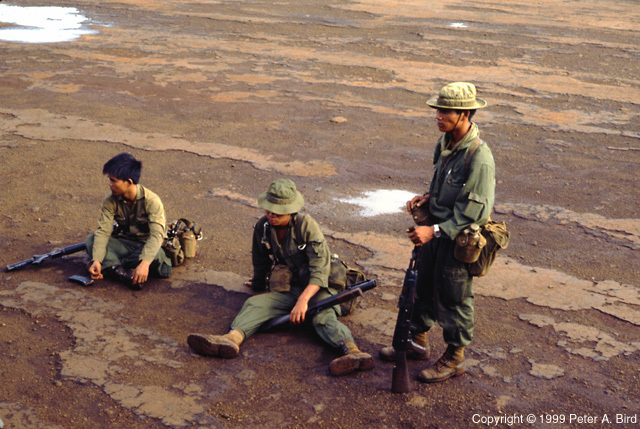 The People of Vietnam - ARVN Troops? We carried a lot of ARVN troops and most times they were loaded by U.S. personnel, so we had some assurance that they actually were who they claimed to be. This little group, though, bothered us. They didn't seem to keen on being photographed and the guy on the right is holding an AK-47. It was often rumored that we unwittingly carried a lot of NVA/VC. We had no way of knowing.